Ryan; Maguire (cap), Brennan, Paisley; A Murphy, Keane (Mulcahy, 62), Gibson (M Foley, 87), Fahey, Rogers; Guy (O'Connor, 90), Quigley. Onyszko; Helveg, A Christensen, Laursen (cap), Jensen; Bolanos, Hansen, Bechara (Andreasen, 70), Borring; Absalonsen, K Christensen (Timm, 80). 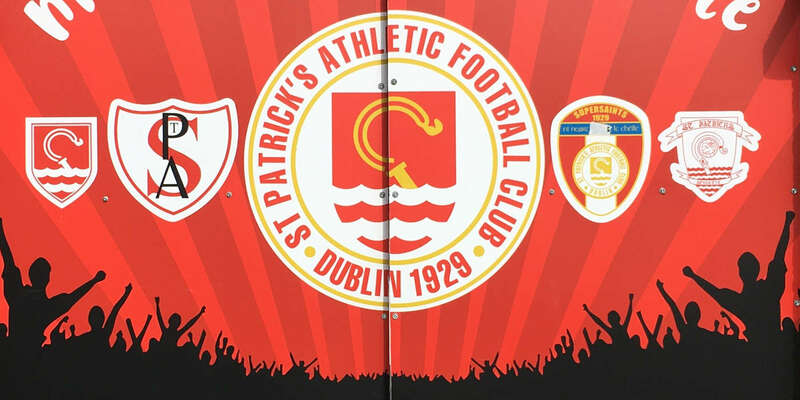 THANKFULLY there was no Danish pasting at Richmond Park last night as, for the second time in 24 hours, an Irish side in Europe kept a clean sheet at home. 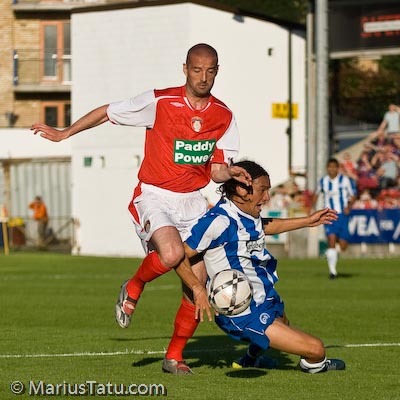 But just like Derry City's scoreless draw in the Champions League the previous evening, St Patrick's Athletic will feel that their best chance of making progress in Europe was left behind last night as Danish club Odense will be firm favourites to advance to the second qualifying round. In a game played with a tempo and spirit more akin to a pre-season friendly than the white-hot heat of a big European night, neither goalkeeper was stretched or forced to sweat all that much with clear-cut chances very thin on the ground bar an 88th-minute shot from Odense's Johan Absalonsen. Odense had scored three goals in the first leg against Shelbourne in last season's Intertoto Cup but it was clear from the start last night that the Danes would have to fight harder for their goals. 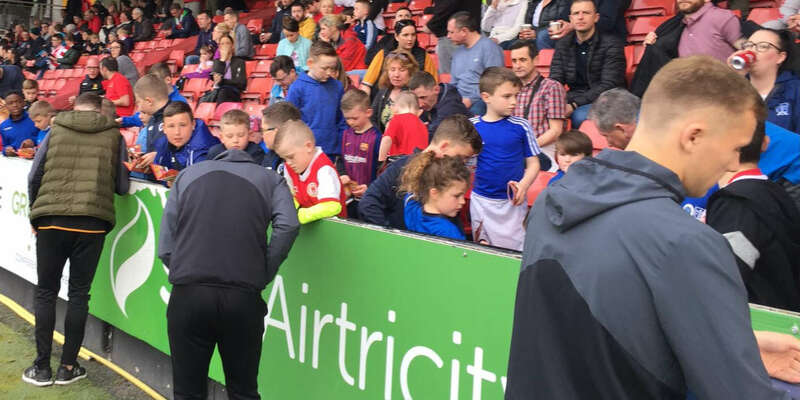 In fact, Pats offered more of a threat in the opening stages, as early as the third minute, when Keith Fahey's long ball found its way to Anto Murphy and he whipped a cross into the box, but in-rushing striker Mark Quigley couldn't connect. 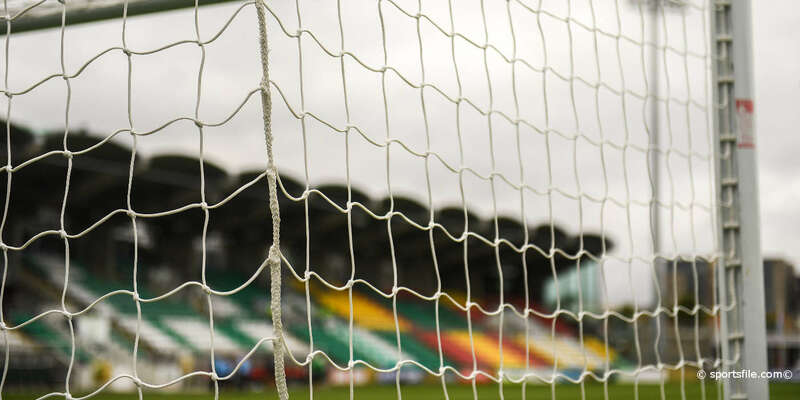 On nine minutes a slip by Odense defender Ulrik Laursen gifted a chance to Quigley but his shot was weak, while Darragh Maguire got a header on target on 12 minutes after he connected with Murphy's long throw, but Polish keeper Arek Onyszko barely broke sweat in making his save. Odense soon settled into their surroundings however as Pat's had a spell on the backfoot. The impressive Murphy did well with a clear the danger as Jonas Borring bore down on goal on 23 minutes, while Odense's exotic imports Christian Bolanos (Costa Rica) and Oliveira Bechara (Brazil) posed more questions for the home side. Pat's still had some ideas, however, and their best chance of the game fell to defender Stephen Paisley two minutes before the break when he headed Fahey's free kick just wide. But there was just no way for the home side to get past a tough Odense defence, summed up by a chance on the hour mark when Odense centre half Anders Christensen slipped just outside the box and handed possession to Quigley but within seconds Quigley was surrounded by four Danes and the chance simply faded away. 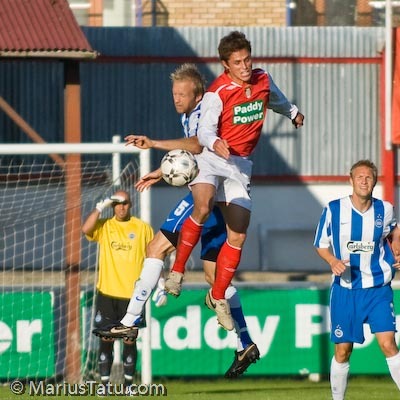 Odense were still a threat and Saints captain Darragh Maguire was forced to make two top-drawer tackles to deny Kim Christensen late on, while two minutes from time Ryan did well to save from Johan Absolonsen, but both keepers held on for their clean sheets while the managers turned their minds to the second leg in Denmark in a fortnight.